Martín holds a Juris Doctorate degree from Alberto Hurtado University, with distinction; Diploma in Finance, School of Business and Economics, Alberto Hurtado University; Master in Chinese Law (LL.M) Tsinghua University; Beijing Municipal Government Scholarship of China, awarded in 2011; President of the LL.M class at Tsinghua University. Postgraduate Thesis “China-Chile Free Trade Agreement. Outcomes 2006-2010”. Martín has experience both in Chile and in China, mainly on the drafting and execution of all kinds of contracts, intellectual property, litigation matters, procedures for mining concessions/water rights, the development of hydroelectric projects and real estate. During 2011-2012, he was the Chilean Agent at the expo-secretariat of China International Import Expo. 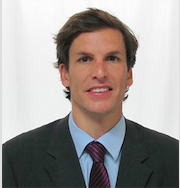 Martín has also published legal articles for international magazines and he is invited to speak on a regular basis. His speaking engagements include presentations for various Chilean Universities. Martín currently works as an Attorney for GS&Co. Attorneys and Counselors a firm made up of Chilean and Chinese legal experts that offers both local and international legal services to Chinese companies in Chile and Chilean companies in China. Martín worked as an Attorney for Holding Comaco Forestal, a leading Chilean company on wood chip production that trades mostly with the Asian market. Martín successfully took part in the drafting of contracts involving wood trading, hydroelectric projects and real estate. During 2011-2012, he was the Chilean Agent at the China International Import Expo organized by Expo-Secretariat of China Chamber of International Commerce. Previously, on 2010 and 2011 he worked as an Attorney for Raúl Troncoso Delpiano Law Firm. He was Head of Judicial Regularization Unit in charge of Judicial Portfolio of 18.000 executive trials in 62 courts across Chile, representing Pension Fund Corporations PROVIDA S.A, CUPRUM S.A, HABITAT S.A, CAPITAL S.A y AFC CHILE S.A.